Libya signs a partnership initiative with Italy and the Mediterranean countries - The Maghreb Times ! 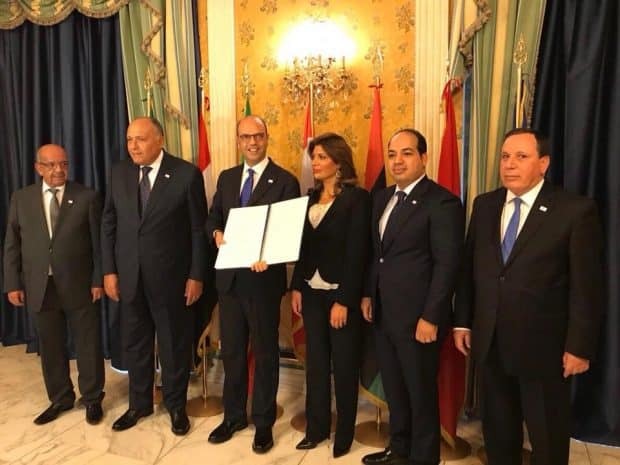 Presidential Council (PC) deputy, Ahmed Maitig, accompanied by foreign ministers of Egypt, Tunisia, Algeria, Lebanon and Italy held a signing ceremony on Friday in Rome, for the Erasmus initiative for student exchange. The signing highlights the support of higher education and training programs to strengthen cooperation and mutual understanding between Italy and the countries of the southern coast of the Mediterranean in various fields. The Erasmus Mediterranean Program aims at providing scholarships and exchange programs for university students, researchers and youth.